In our third and final blog in the 10 year anniversary series, we discuss social innovation and the future of community change. 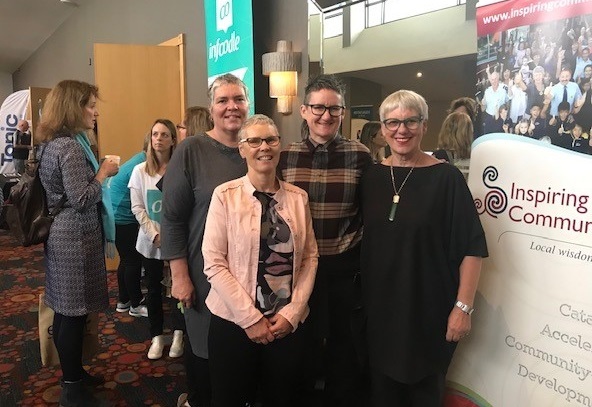 We have a new blog in which we talk to Jen Margaret about the importance of applying a Te Tiriti lens to our work and our lives. Related to this, we also have some really useful Te Reo resources to share with you. In our latest webinar yet we reflect on 25 years of collective wisdom in community change along with the Tamarack Institute. Not to be missed! We’ve also released our joint paper, with Tamarack, entitled Reflections on Community Change. Read about our reflections on the past decade and our thoughts on the future. Finally, we have a bunch of new community stories! Get inspired by reading about what communities around Aotearoa are getting up to!